As the 3rd month of planning our trip draws to a close, I can’t help but reflect how far suddenly we have come since January! This 3rd month, though starting slow, suddenly shifted up a gear when I finally passed my motorcycle test mid month. 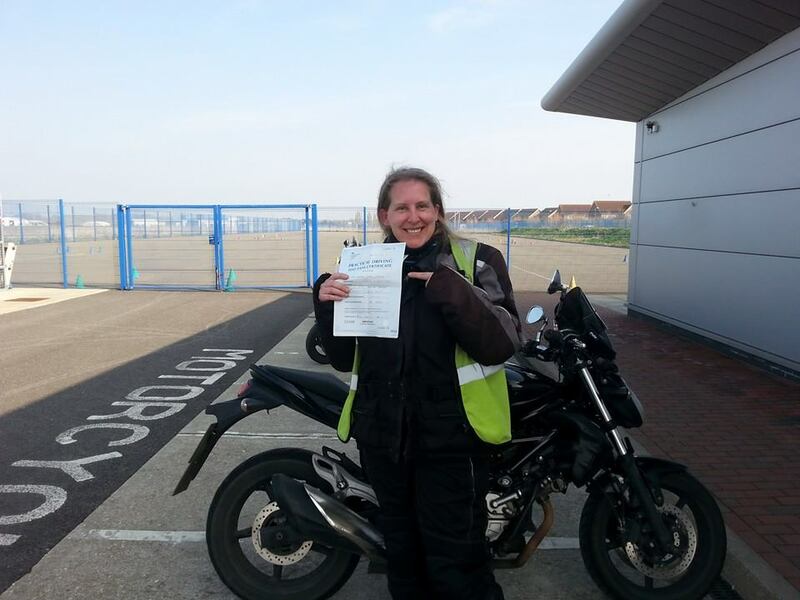 Two clutch levers, a broken indicator light and a few scratches later, it finally happened, and my instructor, Mark at M&C Training, smiled through it all, giving me plenty of grief along the way to make sure that by the time I passed, I really was a safe rider on the roads. What a star! It was with this pass that gears changed on the project with JustGiving finally sending me the documentation to set up the charity, the press release going out and sponsorship, more by accident than intention, suddenly coming into the spot light. Sponsorship is a whole new territory for me. I obviously see the best in what we are doing, but so glad that Richard at Trail Quest was on hand to put me into the right perspective and lead us in the right direction. All this whilst my head was full of flu! When all was said and done at the end of last week, I am pleased to announce that ADVMoto is now sponsoring us; we are going to be featured on Adventure Bike TV several times, who will also feature updates during out journey and help with editing for YouTube posts; Overland Magazine is setting up a radio station this year dedicated to adventure and have asked if we would like to feature regularly during our journey with updates. So things are generally moving along well, and looking forward to going to the Overland Event in June and meeting lots of people, and hooking up with the team there, as well as Rev’it who have also expressed an interest in sponsoring us. On the Sofia planning side, we have hit a slight snag in that it is clear that she will not cope well with a permanent place in a mainstream school, even with support. So now the planning for secondary school, which she will be entering on our return, has also shifted gear as I look for a suitable placement for her, and attempt to get as much of the application process completed before we leave. It may be that we don’t know the results before we leave, but will have to stay close to what is happening whilst we are away, to ensure we can get as much planning and prep. done with Sofia before we return. A really special thanks to her school, who are just an amazing support. So we go into the month of April hoping to secure a bike with sidecar and raise money through sponsorship! This project is gaining a life of its own, so I am excited to see where we will be in a months time and what my monthly update will be saying. Previous PostAutism – Just Roll With It!Next PostTransport has been arranged!